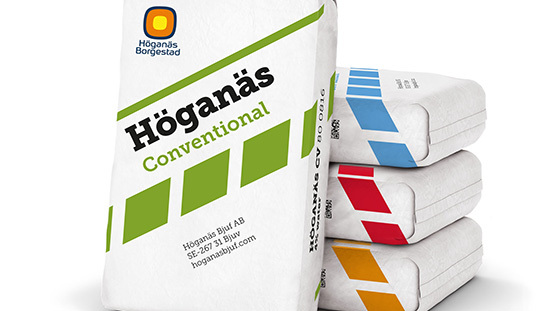 Höganäs Bjuf AB is Sweden’s only manufacturer of refractory products with a history dating back to the beginning of the 1800s. In 2015, the company made the strategic decision to develop a new generation of refractory compounds, and in September 2016, an entirely new plant was inaugurated in Bjuv, located in Sweden’s southernmost province of Skåne. Prevas has contributed with project management and a new production system. Refractory products are used in the manufacture of many basic materials, such as steel, aluminum, cement and glass. Other examples of application areas include waste incineration, district heating and the chemical industry, and many of the products are acid resistant. The products are in demand all over the world and Höganäs Bjuf delivers to more than 50 different countries. The company is a part of Borgestad Industries, which in turn is a part of the Norwegian Borgestad Group. The new plant has a floor area of approximately 1000 square meters and is engineered to produce 30,000 tons of compounds each year. A high degree of automation and the absolute latest technology in mixing ensure high and consistent quality. Own production of refractory compounds also means that recipes can be tailored to meet each customer’s needs. There are currently more than 100 basic recipes stored in the production system. The incoming raw materials can consist of clay, andalusite and silicon carbide. Prevas received the assignment in June of 2015 to perform a situational analysis and a pre-study that would lead to a project plan for building the new plant. Work was led by Björn Magnusson at Prevas’ office in Malmö. The pre-study was well received and Prevas was entrusted with project management for construction and commissioning. “With ambitious goals and a tough schedule, it was a complicated task,” says Björn Magnusson. Besides the project management duties Björn was responsible for, Prevas has also delivered a new production system for the compound plant. This delivery has engaged a system developer and a delivery project manager at Prevas’ Malmö office, both with several years of experience from industrial IT. “I’m proud that we've done such a good job of creating the IT structure. When it comes to the degree of automation, it’s at the absolute leading edge. We’ve also met all our deadlines. The date for inauguration was set a year and a half in advance and Höganäs Bjuf put a day counter on their website, putting a bit of healthy pressure on us to finish on time,” says Björn with a chuckle. During 2015, Prevas was involved in the installation of a new control system in the existing brick plant. 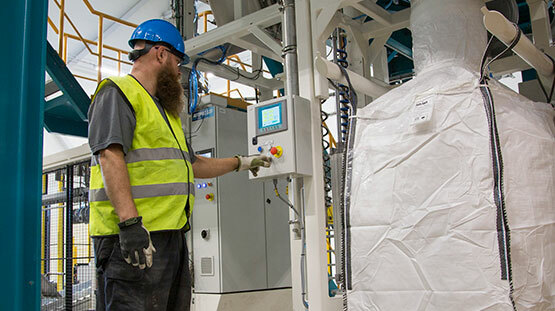 Several parts of the process are scheduled for upgrades so that they will function more efficiently and provide Höganäs Bjuf’s customers with maximum value.